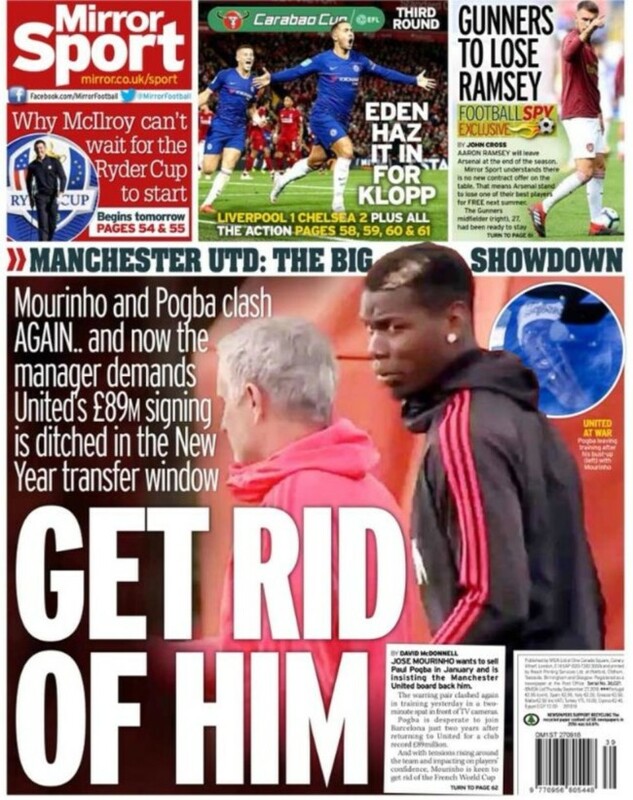 Transfer Balls spots this gem of an “exclusive” on the Daily Mirror’s back page: “Aaron Ramsey to leave Arsenal next summer.” The midfielder’s current deal runs until the end of this season. He’ll then be free to pick up a huge wad of cash at another club. But after the original statement, the facts become , well, less factual. 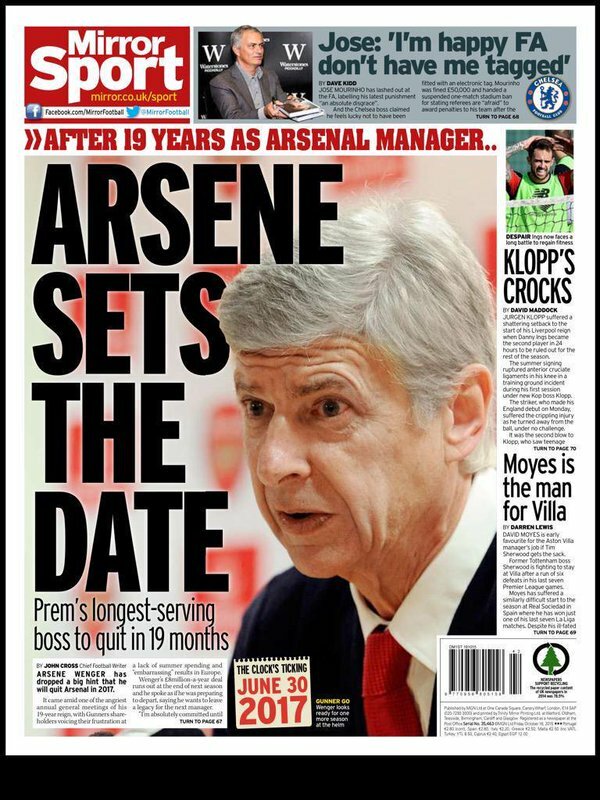 We read that the Mirror “understands there is now NO new contract offer on the table”. Is understanding the same as knowing? No. Or ‘NO’, as the Mirror might put it. Midfielder Ramsey had been ready to stay and commit himself to a new contract, with the club confident of reaching agreement with the past few weeks. But there has been a sudden change and talks have completely broken down — to the point that there is now nothing for the 27-year-old Wales international to sign. Arsenal’s wage bill has been escalating out of control with Mesut Ozil now on £350,000-a-week, but Ramsey has been keen to stay and this breakdown is not because he has turned down a new deal. Maybe Arsenal think he’s not all that good? One of Europe’s top-scoring midfielders is, according to the Premier League’s stats-based Fantasy Football game, the joint 19th best midfielder in the PL. According to Wales Online – which like the Mirror is owned by Reach – Ramsey isn’t one of the best midfielders in the PL. As for goals scored, Ramsey hasn’t scored this season. He did score 7 PL goals last season – the same number as: Abdoulaye Doucoure (Watford), Pascal Groß (Brighton) and Marcos Alonso (Chelsea). In season 2016-17, Ramsey scored – get this – one Premier League goal. In 2015-16 he scored 5; in 2014-15 he got 6; and in 2013-14 he scored 10. Is he one of the continent’s best goal-scoring midfielders? He was. But is he now? No. They allowed both Ozil and Alexis Sanchez to get into the final year of their deals, and now they face an even more embarrassing own goal over Ramsey. Ozil stayed. Sanchez went to Manchester United on a £600,000-a-week deal and Arsenal got the less difficult Henrikh Mkhitaryan in return. Arsenal are currently above United in the league. Sanchez has been poor. Embarrassing? Meanwhile, former Arsenal boss Arsene Wenger has turned down offers from China, Japan and France because he is enjoying his new-found freedom after leaving the club last summer.